story, finding what is different in a picture, rhyming and more! Ocean Preschool Pack in action! Pack. 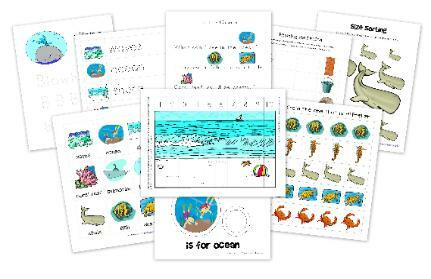 You can read more about our Ocean unit here: Preschool Corner ~ Ocean Unit. words was Under the Sea by Anna Milbourne.